2Q17 PATMI of S$1,083mn exceeded our estimate by 12.6%. Insurance and Net Interest Income growth exceeded expectation. Wealth Management fee income growth of 45% y-o-y was boosted by the acquisition of Barclay’s WM. 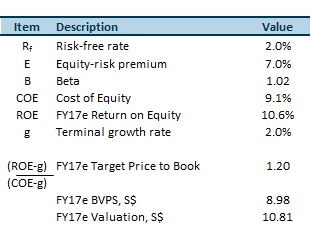 Upgrade “Neutral” with a higher target price of S$10.81, based on Gordon Growth Model, (previously 0.95x book value, excluding preference shares). + Strong Insurance and Wealth Management. Profit from life assurance almost doubled y-o-y due to a positive performance from Great Eastern Holdings’ investment portfolio as a result of narrowing credit spreads and gains from favourable interest rate movements. Wealth management fee income grew 45% y-o-y as OCBC’s Bank of Singapore (“BOS”) AUM rose 46% y-o-y from US$61bn to US$89bn. Two-thirds of BOS’ AUM growth came from net new money. + NPL ratio stable and Oil and Gas exposures have declined. NPL ratio is stable at 1.3%, stable q-o-q but higher than 1.1% in 2Q16. OCBC’s exposure to oil and gas loans have declined 9% q-o-q as oil majors, and offshore support vessel (‘’OSV”) operators have deleveraged. + Stronger Net Interest Income (“NII”) was due to higher Loan-to-deposits ratio (“LDR”), gaping income and higher yields on customer loans. In our Banking Sector Report published in January 2017, we explained how the expansion of LDR would help boost net interest income growth. Management has indicated that they are comfortable to bring the LDR higher from the current 85% to increase NII in the near term. OCBC was able to find opportunities to place out interbank loans at a higher rate to achieve higher gaping income. OCBC was able to enjoy better yields on customer loans by charging a higher spread on loans to customers’ overseas expansion projects. – Unfavourable rate dynamics could remain a challenge. OCBC Wing Hang’s Net Interest Margin (“NIM”) continues to languish as the three-month HIBOR rate, which housing loans are pegged to, remain subdued despite the Fed rate hike. Similarly, in Singapore, the Fed rate hike cycle has not translated into a meaningful increase in SIBOR and SOR, therefore, delaying the pass through of higher rates to customer loans. – Oil and Gas Sector is stable but not improving. The lack of commitment to long term charter for OSV operators has impacted their cash flow and their ability to service loan payments. We believe that oil price should settle at US$60 per barrel sustainably before we can see commitment to long term charter rates. And given OCBC bad loans coverage ratio is at 100%, we expect OCBC’s provision expenses be volatile when it is required to respond to a sudden deterioration in quality of loans related to the OSV sector. We are revising our LDR forecast for OCBC from c.80% to c.85% as management indicated more flexibility to move the LDR higher. Therefore we increased our FY17e net interest income growth estimates from our previous 2% to 5%. Moreover, due to improving economic sentiment and low volatility at the start of 2017 and recovering Singapore housing market, we are revising our valuation to reflect these improvements. 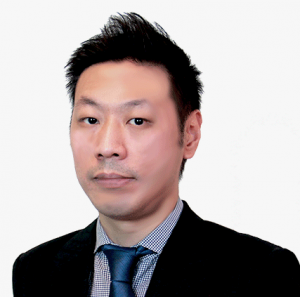 However, we are cautious of OCBC’s sensitivity to competition in the loans market as slightly more than half of OCBC’s loans are pegged to board rates which are influenced by market competition. 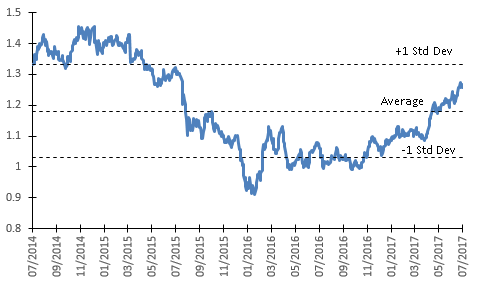 Upgrade “Neutral” with a higher target price of S$10.81, based on Gordon Growth Model (previously 0.95x price to book, excluding preference shares).